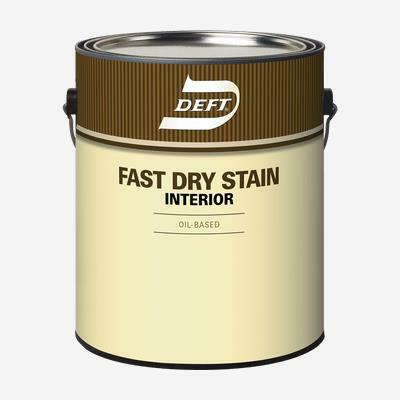 DEFT® Interior Fast Dry Oil-Based Stain is a fast drying, wiping stain designed to deliver professional results. It is recommended for use on interior woodwork including ﬂoors, trim, doors, beams, paneling, and furniture. As part of a one day wood finishing system, it can be used in conjunction with DEFT® Interior Water-Based Polyurethane.